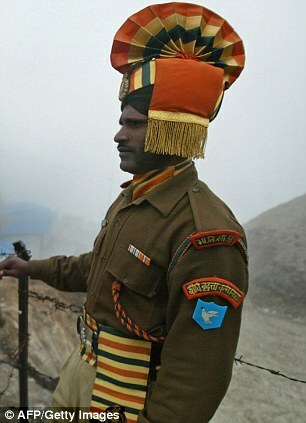 An Indian soldier stands guard at the ancient Nathu La border crossing between India and Chinese-ruled Tibet. India has held regular border-settlement negotiations with China since 1981 in what is the longest such continuous process between any two nations in post-World War II history. The negotiations, which began as “senior-level talks”, were rechristened first in 1988 as “joint working group” talks and then in 2003 as talks between “special representatives”. Yet, after 32 years of border-related talks, India has failed to persuade China to agree to the bare minimum — a mutually defined line of control — even as the two sides continue to farcically call their disputed frontline the “Line of Actual Control”, or LAC. In fact, China has strengthened its leverage against India by upping the ante, both by hardening its stance in the negotiations and by stepping up military pressure, including nibbling at Indian territory through stealthy incursions. The pattern to disturb the status quo little by little and mount increased pressure is in keeping with China’s preferred approach to territorial disputes: What is ours is ours and what is yours is negotiable. Having annexed the Switzerland-size Aksai Chin plateau in the western Himalayas, China has focused its attention on the Austria-size Arunachal Pradesh in the east, aggressively laying its claim since 2006 to that rugged Indian state, which borders Bhutan and Myanmar and is almost three times larger than Taiwan. In a clever ploy to turn Arunachal into an internationally recognized dispute, China has started calling it “South Tibet”, a term that was unknown before it invented it in 2006. Yet a timid India has retreated to an increasingly defensive position in the border talks. The spotlight now is on China’s Tibet-linked claim to Arunachal rather than on Tibet’s status itself. China’s revival of its claim to Arunachal, in fact, drew encouragement from the then Prime Minister Atal Bihari Vajpayee’s 2003 recognition of Tibet as part of the People’s Republic. Beijing’s success in securing that recognition has helped narrow the dispute to what it claims. As a result, a politically adrift India has been left to fend off China’s increasingly assertive territorial demands. What does India gain by persisting with the border-talks charade? By staying put in a barren and counterproductive process, India only aids China’s containment-behind-engagement strategy. As long as India remains directionless, China will continue to press its claims by whatever means — fair or foul — it deems advantageous. And as India gets sucked into a 1950s-style trap, history is in danger of repeating itself. The issue then was Aksai Chin; the issue now is Arunachal. As a result, whenever an Indian president or prime minister visits Arunachal — which is once in several years — Beijing rakes up its territorial demand by publicly condemning the trip. China feels emboldened to up the ante because of Indian pusillanimity. For example, when President Pranab Mukherjee visited Arunachal in November 2013 — the first visit by an Indian president to the state in more than five years — he avoided going to Arunachal’s Tibetan Buddhism pilgrimage valley of Tawang, just like Prime Minister Manmohan Singh did during his visits to that state in 2008 and 2009. Singh’s predecessor, the self-styled nationalist Atal Bihari Vajpayee, didn’t even set foot in Arunachal. The Dalai Lama has repudiated the Chinese claim that Arunachal, or even just the Tawang Valley, was historically part of Tibet. China, however, insists on securing at least the Tawang Valley — the gateway to the Dalai Lama’s 1959 escape from his homeland — so as to complete its assimilation of traditional Tibetan-inhabited lands and obliterate the remaining evidence of Tibet’s historical status as an independent entity. The strategic Tawang Valley is a critical corridor between Lhasa, Tibet’s capital, and the Assam plains because it can militarily open the way for China to throttle India’s hold on its entire northeastern region.